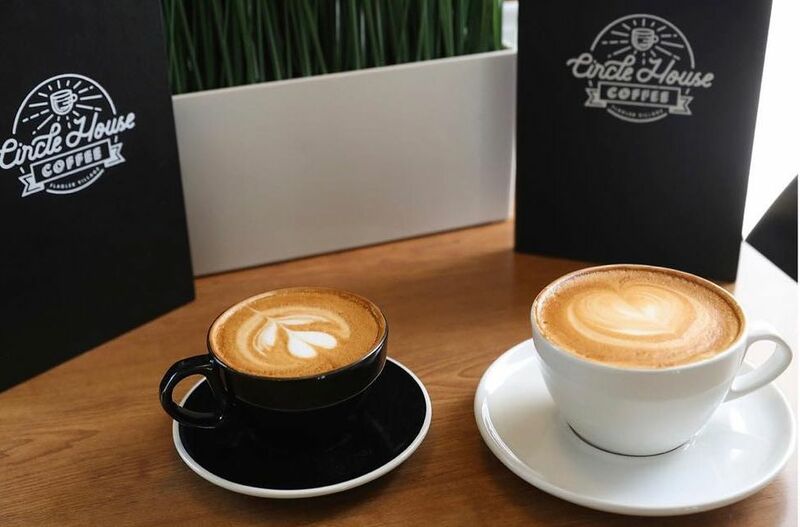 Fort Lauderdale, FL (RestaurantNews.com) After 11 seasons in the NFL, South Florida native and philanthropist Stephen Tulloch’s newest endeavor Circle House Coffee will open on Saturday, March 9th. Circle House Coffee will have a Grand Opening Party on Saturday, March 9th from 5 p.m. to 9 p.m. Guests can meet current and retired NFL stars Frank Gore, Lamar Miller and several others. The event will also feature a DJ, face painting, corn hole, food trucks and free 8 ounce cups of coffee. The Grand Opening Party is open to the public. Circle House Coffee is located at 727 NE 3rd Avenue in Fort Lauderdale. The community based coffee shop and drive-thru is located in the heart of Flagler Village. The Coffee Shop is located on the first floor of the three-story building and also has outdoor patio seating with plenty of on-site parking. “We are very excited to celebrate our Grand Opening with the community. We look forward to the team at Circle House Coffee making an impact,” said Circle House Coffee Founder Stephen Tulloch. Circle House Coffee is a place where the community can come together to enjoy a handcraft coffee, beer, wine and delicious food options including sandwiches, pies and pastries. Circle House Coffee is also the first coffee shop in Flagler Village to offer the option of drive-thru service. In his transition to life after football and continuing his love for giving back, the retired NFL Linebacker created Circle House Coffee in 2018. During his NFL career, Tulloch found coffee to be the key to fueling his day. This concept will bring people together and awareness to both local and global needs. While playing in the NFL, he started the Stephen Tulloch Foundation giving back to underprivileged kids and helping people affected by Cancer. The four times Walter Payton Man of the Year Community Service Team Award recipient has a passion for giving back and paying it forward. Some of his projects include treating 55 kids affected by Cancer to every home game, adopting families for the holidays, author of a children’s book “The Little Linebacker” Story of Determination and most building a school in his Mother’s hometown of Westmoreland, Jamaica. Tulloch grew up in Miami. Circle House Coffee’s philanthropic vision and mission is to serve its local and global communities. Circle House Coffee will partner with local and global charities throughout the year. The organizations are selected by Circle House Coffee and the Stephen Tulloch Foundation to receive funds from the Coffee Shop’s “Round Up for Charity” program. The featured charities will also receive a portion of the proceeds from merchandise sales. The Dolphins Cancer Challenge (DCC) was founded in 2010 by the Miami Dolphins organization as the signature initiative of the Foundation’s health area. The DCC’s mission is to improve people’s lives through financial support for innovative cancer research at South Florida’s only academic-based cancer center – Sylvester Comprehensive Cancer Center, part of UHealth — the University of Miami Health System. Since its inception, the DCC has raised more than $27.5 million, donating 100 percent of participant-raised funds to Sylvester. For additional information, call (305) 943-6799 or visit www.DolphinsCancerChallenge.com. Circle House Coffee is open 7 days a week from 7 a.m. to 9 p.m. To learn more about Circle House Coffee, please visit us at our website CircleHouseCoffee.com, or follow us on Instagram @circlehousecoffee, Twitter @circlehouseco or Facebook https://www.facebook.com/CircleHouseCoffee/ or call (954) 870-6456.